Black Saturday 7 February 2009 a series of bushfires that ignited, or were burning across Victoria. Extreme bushfire-weather conditions resulted in Australia's highest ever loss of life from a bushfire, 173 people died and 414 were injured. 78 townships were affected, an estimated 7,562 people displaced. For the first time in history, a catastrophic event like the Black Saturday bushfires could be documented with digital photos and video by the people actually involved. 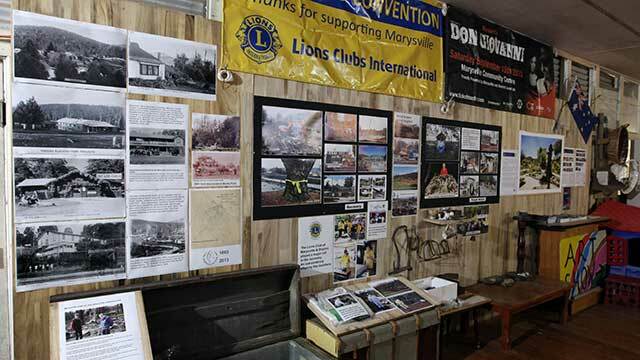 The Black Saturday Museum now makes these personal and community stories available to not only tell about that horrific fire but the determination of the residents to survive, heal, and then get on with their lives in the aftermath.